Page 4 already? If you haven't yet found just the right funny birthday quotes, I've written another page for you full of incredibly hilarious choices. To make every famous funny quotation here even more amusing and personal in nature, I've also drafted two special birthday wishes for you — one you can use as an intro to the quote and one that brings home whatever idea to you want to get across to the birthday girl or boy. Your loved ones will love the famous sayings and the messages that come with them. This is one of my top picks because it uses a cleverly funny way to talk about the biggest gripe older people have...feeling the aches and pains of getting older. It also gives you a chance to counteract this message with a little encouragement for your loved ones. Despite the aches and pains, middle age really will be the best time of your life (I promise, I know). Enjoy! Happy birthday! Whether you're old or young, certain things don't change. Bottom line: there will always be difficulties but life goes merrily (if you want) on anyway. Happy birthday! Optimism is good to have in mid-life. Delusions of grandeur are also good to have, as long as they make you happy. Here's to the illusion of youth! Happy birthday! 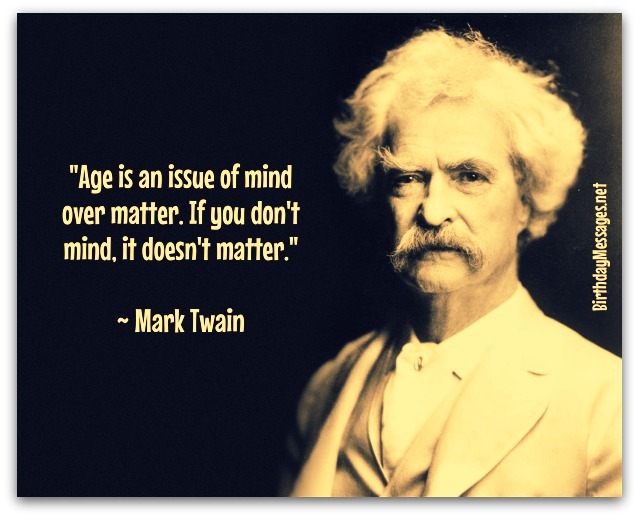 “Age is an issue of mind over matter. If you don't mind, it doesn't matter." Basically, you are what you think (and eat, my doctor always tells me). Anyway, you look better than ever. Happy birthday! Age is a lot like fine scotch (not fine wine). The older the scotch, the less you remember your age. Happy birthday and put mine on the rocks. Now I know that just saying youth is stupid is bloody, clean fun! Happy birthday! For your party, your surround-sound home theater or mine? Happy birthday! This quote brings new meaning to the phrase, cut the cheese. So forget about getting older, unless you smell funny. In the old days, turning 50 meant you only a few years to live. Today, turning 50 means you only have a few to live...like you were 40. 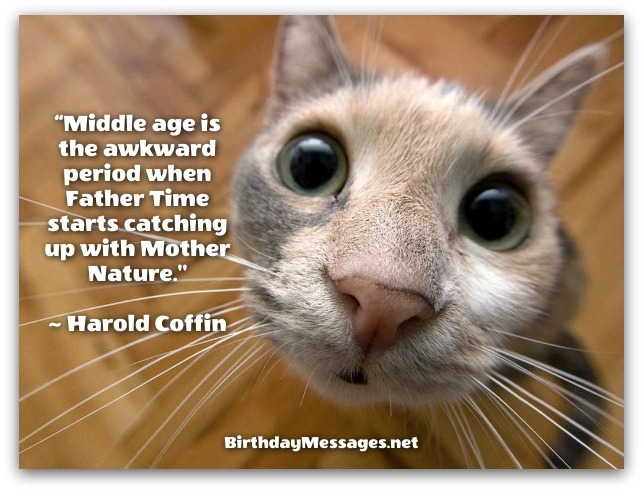 Happy mid-life birthday! After I saw this quote, I was extra careful when I bought your birthday gift. So I got you the best kind of gift to exchange...a gift card. That's because it can only be exchanged for a gift as perfect as you. Happy birthday! 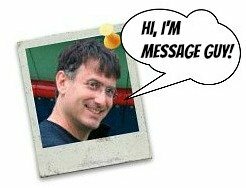 Need some help selecting the right quote? 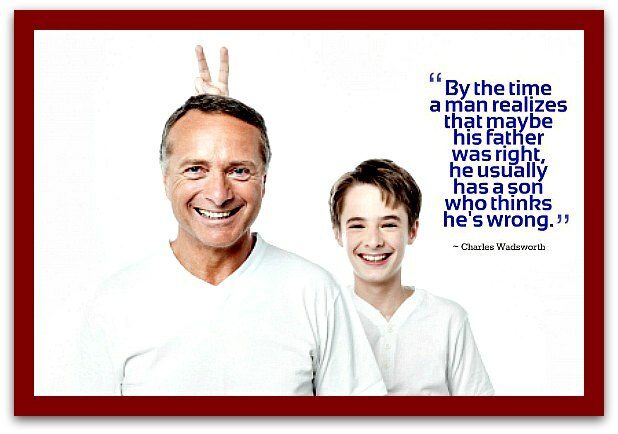 Click your way to some tips to select just the right funny birthday quotes. I love to stay home (not necessarily stay up) every night with you (not just New Year's Eve)! Happy birthday! When it comes to you, age is definitely a struggle between mind and body. So my question for you: would you mind if I struggle to ignore your body? You're my favorite treat! Happy birthday! “Don't let aging get you down. It's too hard to get back up." Stand up to anybody who calls you old...and hit them with your cane.